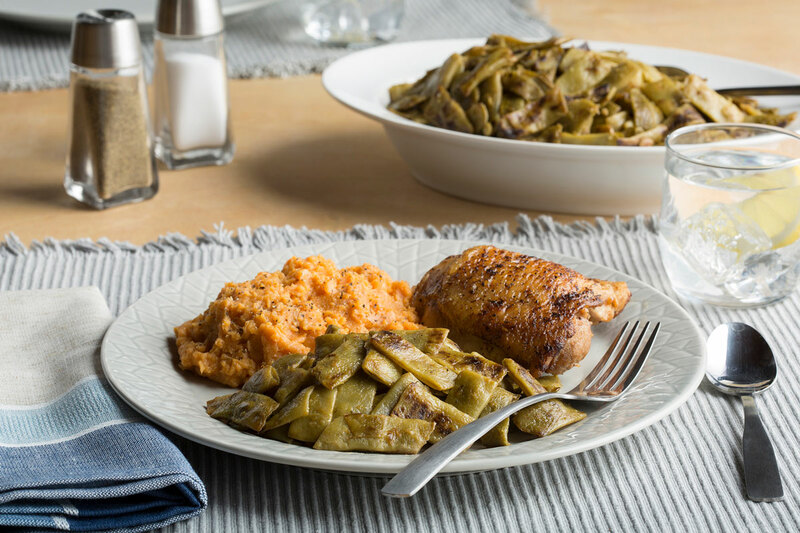 Delicious butter-browned green beans cook up quickly for an everyday side dish. Jazz them up with garlic, onions, diced ham or tomatoes for an easy twist. Melt butter in a large skillet over medium-high heat. Add beans and spread in an even layer. Cook without stirring 3 to 5 minutes until beans begin to brown. Stir gently, cook an additional 3 to 5 minutes until most of the beans are lightly browned. Season with pepper before serving. VARIATIONS: Prepare recipe as directed, except add any 1 or more of the following ingredients in Step 2.